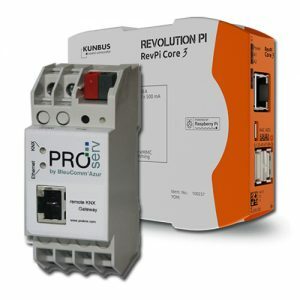 Gateways to connect RTI or bitwise controls to the KNX bus. 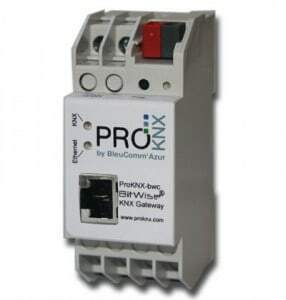 ProKNX allows to establish a bi-directional communication to your KNX/EIB installation. 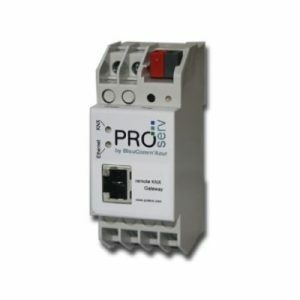 This gateway offers like any other KNX bus device communication objects that are assigned to group addresses with your ETS software. One big advantage of this system structure is, that this gateway acts like a server. The actual state and data of your lights, blinds, shutter and HVAC are available in the gateway. 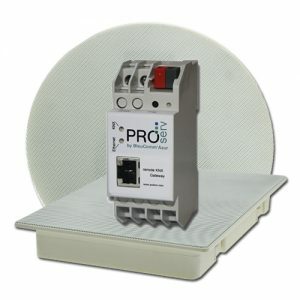 If a (wireless) client connects to this unit, it may directly read all relevant data by Ethernet. No bus request is necessary, no additional bus traffic may encounter communication problems, no delay to visualize the data. All standard software and driver are included! ProKNX bws – Gateway for the bi-directorial communication for bitwise controls extender (BC1 and/or BC2) with the KNX bus. ProKNX RTI – Gateway for the communication of RTI extender with the KNX bus.